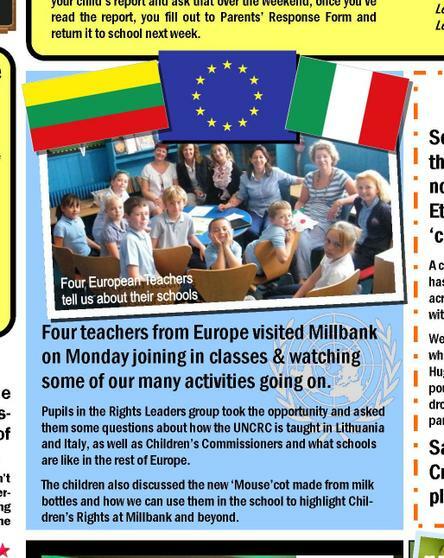 Four teachers from Europe visited Millbank so our Rights Leaders Group took the opportunity to invite them to their lunchtime meeting and ask them about what it is like being a child in Different parts of Europe. 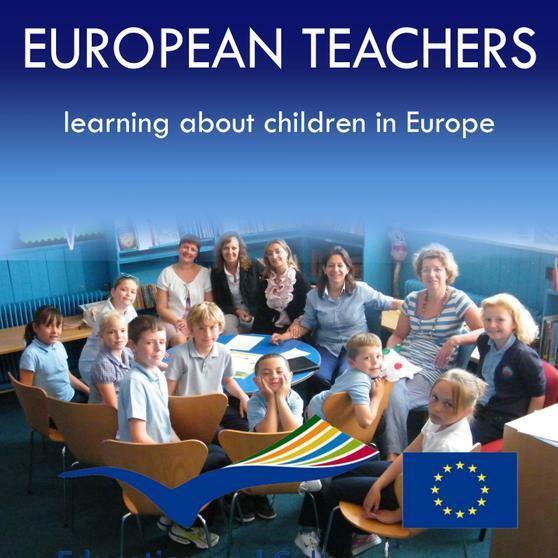 Three teachers (Marika, Lorella and Maria) were from North Italy around Milan with the fourth (Violeta) being from a school on the outskirts of Vilnius the capital of Lithuania.They all teach English language to their pupils and were visiting schools in the UK as part of the European Comenius Programme. They wanted to see a 'normal day' at schools in the UK. The day started with the 'BikeIt breakfast' designed to encourage families to take a cycle to school as part of a healthy lifestyle. 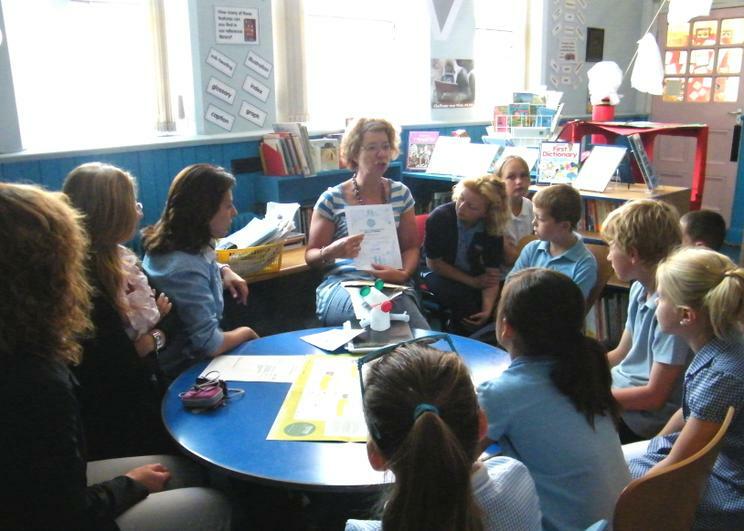 The teachers could wander in and out of any of the classes and see what the pupils were learning. They saw the ducks having a paddle and listened to the children tell them about how they had grown since they had hatched. Class One performed their Class Assembly about some of the different topics they had learnt such as Transport and sang some lovely songs. At the end of Assembly they saw Miss Allen hand out class awards encouraging attendance, and the environmental award of the week too. The Rights Leaders asked if the teachers would like to come to their lunchtime meeting. 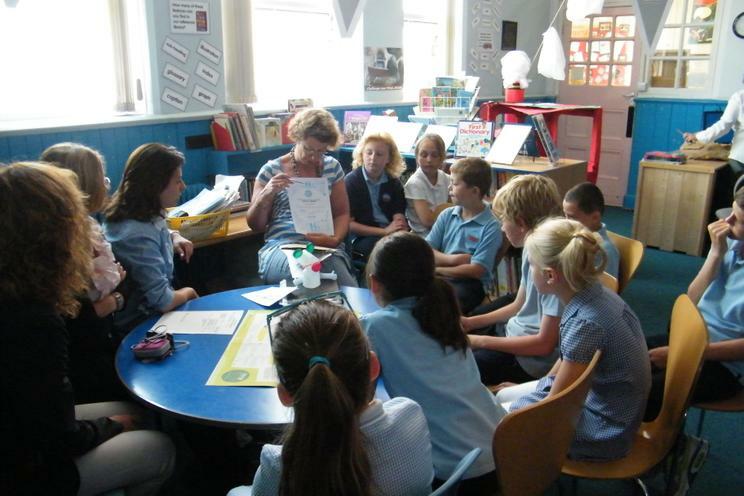 Miss Allen had some lovely news to share with the group, that day Millbank had be awarded the first step towards our target of being a Rights Respecting School, the 'Recognition of Commitment.' A prototype of the little plastic bottle Mousecot to be used to help promote Rights was also shown to them. 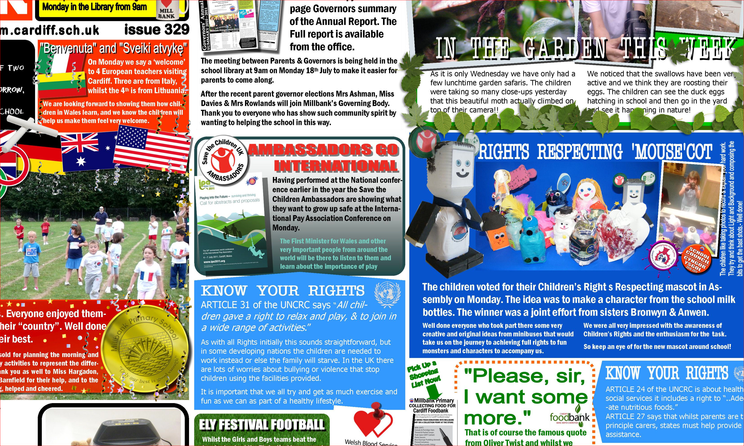 Q: Are children taught about Rights? In Italy the children are taught about Rights and the importance of Respect. Q: Do you have a Children’s Commissioner? In Italy we do not yet have one nationally but there are local projects with towns having people appointed to get views of young people. There was an Ombudsman for young people for the Lombardy Region. Lithuania has had a Children’s Rights Ombudsman for a few years the new one is Edita Žiobienė and she makes sure that Children's Rights are being met in our country. Q: Do children wear uniform in your schools? Not in the state schools in Lithuania pupils wear everyday clothes, but in some private schools they insist on uniform. In Italy some schools do have uniforms but some do not. If they do then girls might wear pink and white boys wear Blue and white. Q: What are the main differences between your schools and Millbank? It is a lot more formal in our countries. 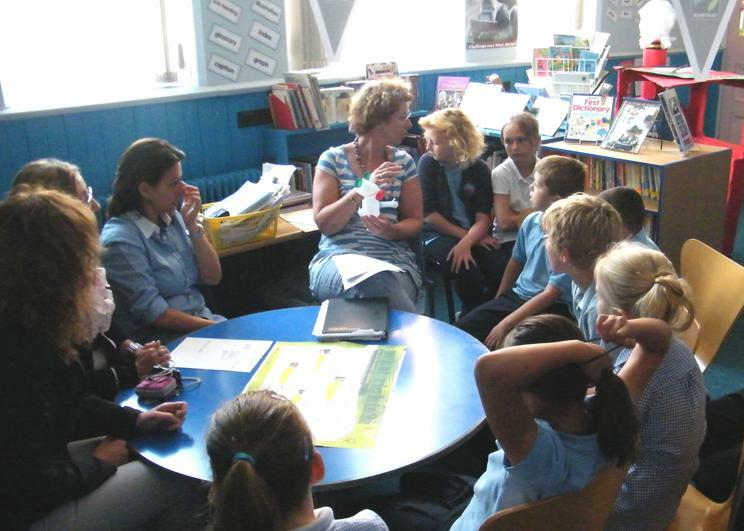 There is no sitting on carpets or beanbags, all pupils must sit at desks on chairs. We use blackboards and chalk in each class (there are none left at Millbank each classroom has interactive white boards.) There might be interactive whiteboards in the computer suite. Q: This is 'Millie Banks' our mascot. Do you have a school Mascot? Or do you use mascots such as Max? No none of our schools have a mascot or anything like that but the mascot for our home town of Palma is a violet. Q: What age do you start school? In Lithuania you start at age 6 or 7 there is no infant and junior division. 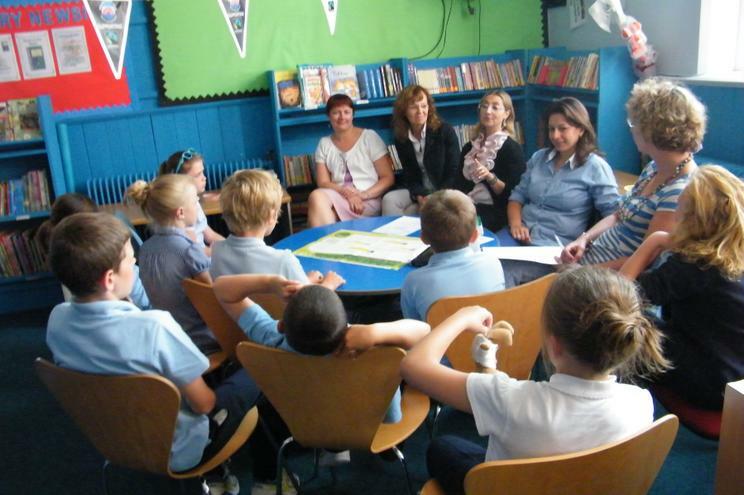 In Italy school also starts at aged 6 and the primary school has 5 grades, the children are taught in groups rather than staying together in classes. There are nurseries for younger children 3-5 but these are not compulsory. 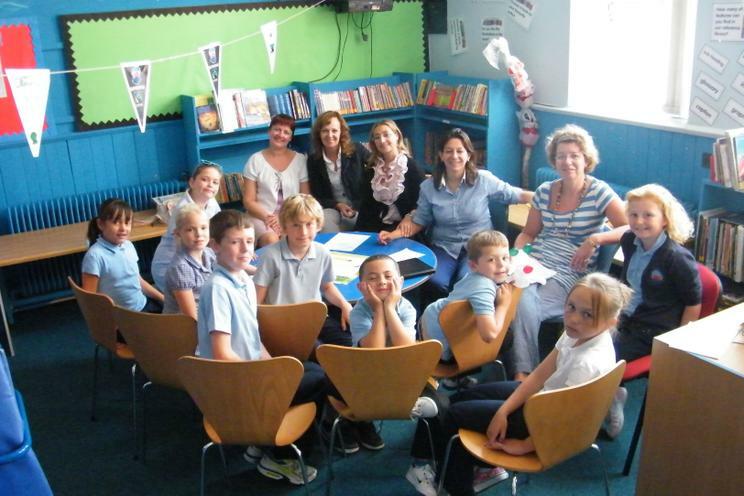 We all wished them well and hoped that they enjoyed their visit next day to another lovely school Lansdowne Primary. 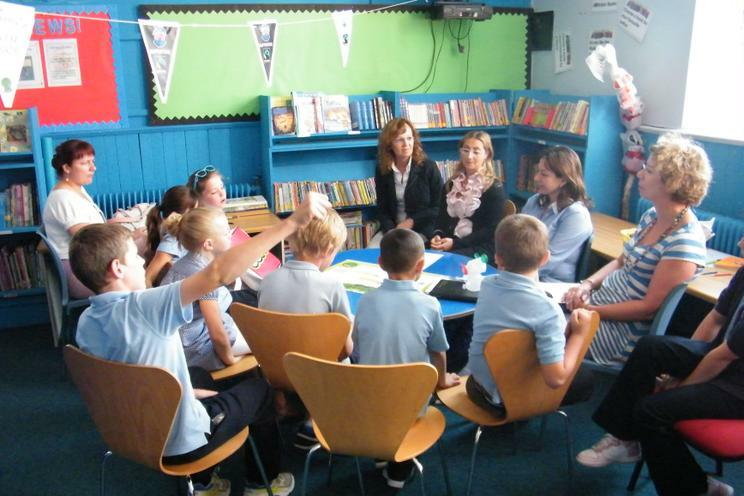 The teachers said that they enjoyed their visit and had lots of new ideas. You can when the pupils asked some questions of Maroš Šefčovič the European Commissioner responsible for Education and young people.